Super charged and in charge. The long-lasting rechargeable battery gives you hours of long-lasting power, for all-afternoon fun in the sun! The USB charge port keeps your phone at 100%. And you’re in command—the built-in mic lets you answer your phone calls hands free. Take the Plunge—we mean it! 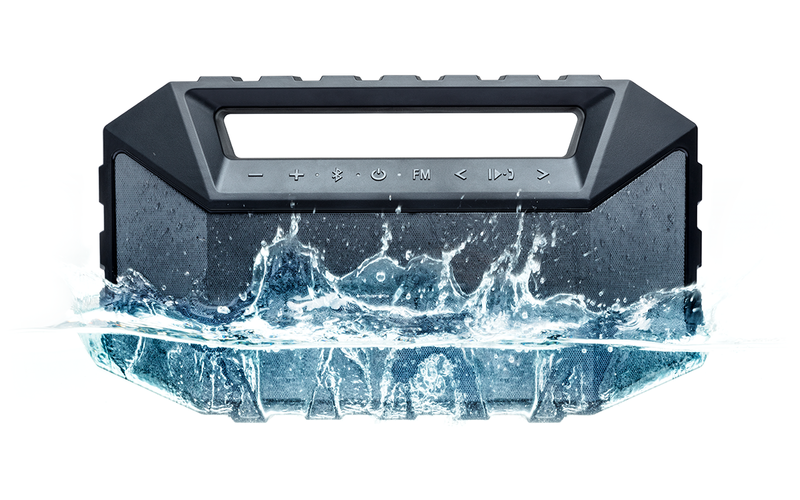 iPX7 waterproof means it floats. Seriously. Don’t let a swim in the pool take you away from your music. 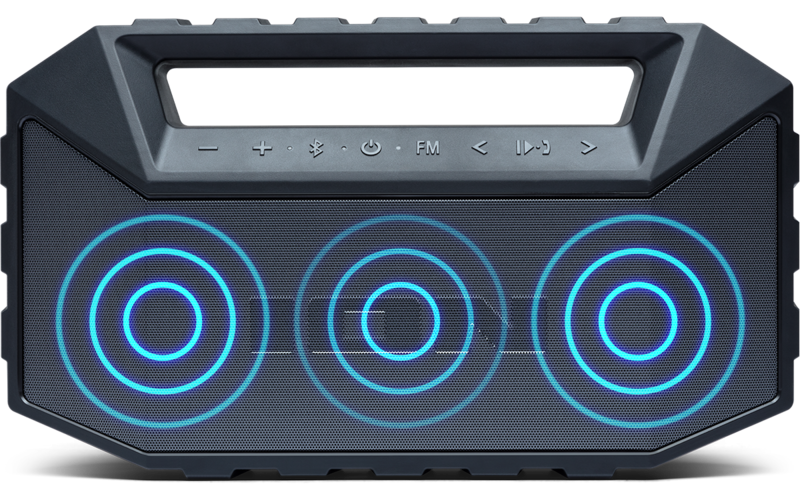 With Plunge Max, take your tunes in the pool with you! Power up and rock on! You’ve got 40 pulsating watts of groovin’ power driving two full-range speakers and three bass radiators, to give you a musical experience that will make your day come alive. Plunge Max means business. 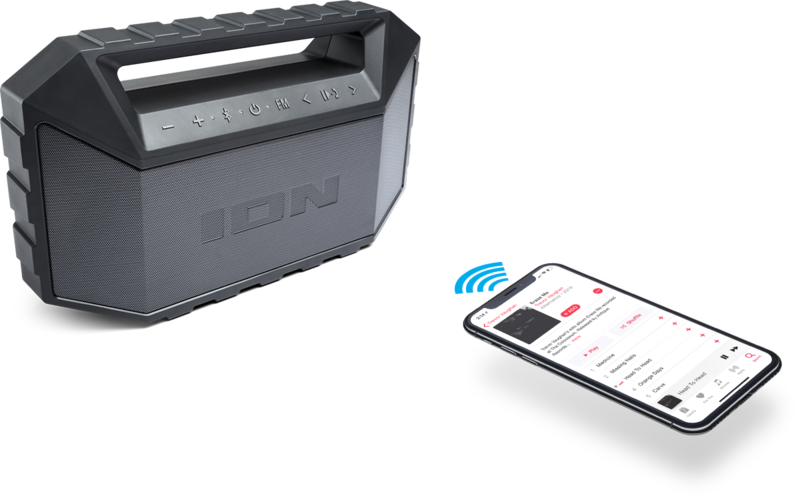 Streams music wirelessly from any Bluetooth-enabled device. Bluetooth track controls to customize your playback enjoyment (play/pause, next, back). 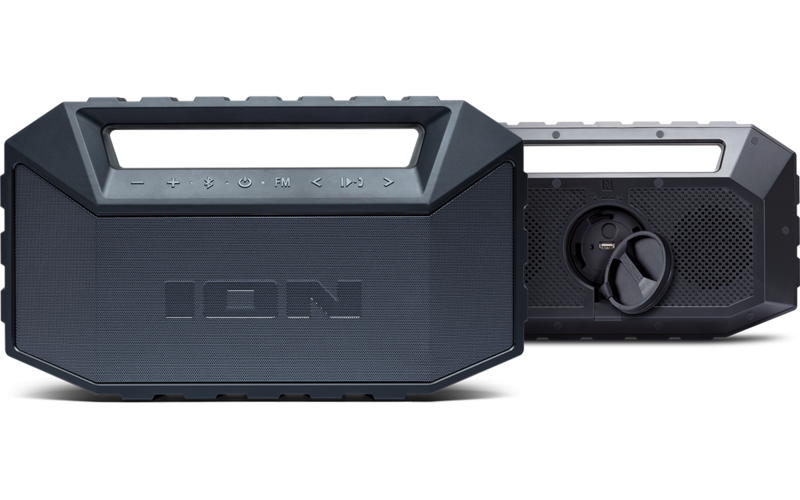 IPX7 waterproof – fully immersible! Dimensions: DWH 4.3 x 14.5 x 8.3"